In Anantapur’s Gundumala village, Chikkamalappa has been cultivating ragi (finger millet) on 0.60 hectares (ha) of land for two years. Growing ragi ensures twin benefits for the farmer in this drought-prone district of Andhra Pradesh: the crop serves his domestic consumption needs and he also earns a profit of about Rs 70,000 after selling the excess produce in the market. “It was my own idea to grow ragi under the government’s Zero Budget Natural Farming initiative that encourages crop rotation and polycropping. “Ragi balls and ragi rotis are healthy and growing the crop requires less amount of water than rice,” the farmer says. Same is the story elsewhere in Anantapur. In Thammaiah Doddi village, Shivanna practices multi-cropping, cultivating ragi along with groundnut, maize and paddy. The farmer grows ragi exclusively on 0.202 ha out of 2.02 ha with help from borewells for water supply. Since ragi is a very healthy crop, it is mostly used for household consumption in the village, says Masthan Vali, programe manager of Digital Green, an international development organisation. Even ragi powder is mixed with milk to feed children here, he adds. “Millets are highly diverse and nutritious crops, intrinsically linked to the landscape of a particular region. They are also resilient to climate change. Due to their inherent resilience, they are the right choice as crops to be cultivated in dryland areas. In the past 60 years, our agriculture policy has focused mainly on rice and wheat and neglected millets , especially minor ones such as foxtail millet, little millet, browntop millet etc. Supply of subsidised rice and wheat through the public distribution system and state nutrition programmes have also played a big role in changing the dietary habits of people in rainfed regions from millets to rice. This systemic neglect has led to the disappearance of millets from our plates and fields,” says Dinesh Balam state coordinator, five-year Special Programme for Promotion of Millets in Tribal Areas, Odisha. To ensure that millets make a successful comeback, the governments of Telangana, Odisha and Andhra Pradesh have launched pilot projects where children in anganwadis are being served millet-based meals replacing the traditional rice meal. The Comprehensive Revival of Millets, an Andhra Pradesh agriculture department initiative, aims to revive millet cultivation under rainfed farming systems and for household consumption. Over the years groundnut monocropping has led to millets losing relevance in Anantapur, but now millets are back on the scene due to natural farming practices. Also, the earlier focus on rice in agriculture and public distribution system led to a gradual shifting away from millets. In Telangana’s Vikarabad district, children have been traditionally fed rice-based menus at anganwadi centres. As rice has always been subsidised by the government, this resulted in reduction of millet consumption, thus compromising local dietary diversity. However, an initiative was taken by former district collector of Vikarabad, D Divya, to engage mothers and children on the need to increase millet consumption. A pilot initiative to introduce millets for children has been launched in 45 anganwadis in the district. The programme is aimed at ensuring the nutritional security of children in the age group of 3-6. 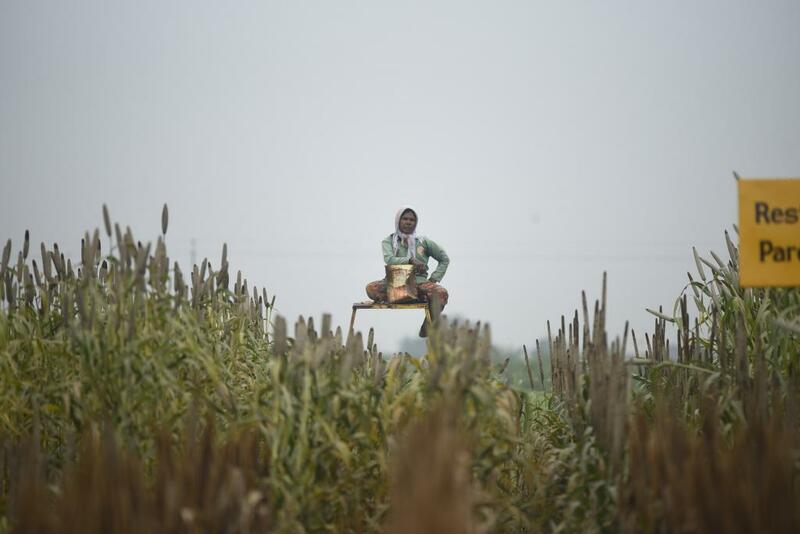 “There has been a steady acceptance of millets in anganwadis so much so that there is a proposal for six-month pilots in six other districts of Telangana. The women and child welfare department also wants to extend it to pregnant women and lactating mothers. The overall focus is to revive millets in rural India. Farmers should get a good nutritious diet,” says S Bhagyalaxmi, programme manager, WASSAN. “Millets are being promoted as nutritious crops currently and there is a lot of demand for them in urban areas. But the government focus should be on revival of millets in rural India. Farmers need good nutritious diets at affordable rates, so that they can fight malnutrition,” adds Balam. Overwhelmed to hear about the thought process behind Millets. We at Karnataka Natural Products have come up with a health food consisting of 6 millets ( Pearl millets,Ragi, Barnyard,Koddo, Little millets & Foxtail ) in precooked & ready to eat form. This Health food's quantity of 30 gm. can be had with any liquid - hot or cold and by adding salt/sugar to taste serve as a one time complete meal for adults. This Health food can be served to infants as well as to aged generation also with full nutritional values. Having approval of CFTRIA institution it is even suitable for people suffering from diabetics, constipation, aneamic,high cholesterol, calcium deficiency. It is Gluten free and has anti-ageing properties.